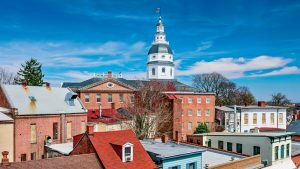 In this issue, we follow the Marquis de Lafayette to Annapolis, Md., a city that during colonial days was to America what Paris is to France: the center of fashion, beauty, and refinement. It was also the home of the country’s first theater. So it’s no surprise that French troops were delighted with the city when they appeared in 1781, as were townspeople with the new inhabitants. “The town is so dull it would be intolerable were it not for the officers,” wrote the daughter of a wealthy Marylander to a female relation. The Marquis made four passes through the city, the first in 1777 followed by one in 1781 on his way to Virginia to fight the British. 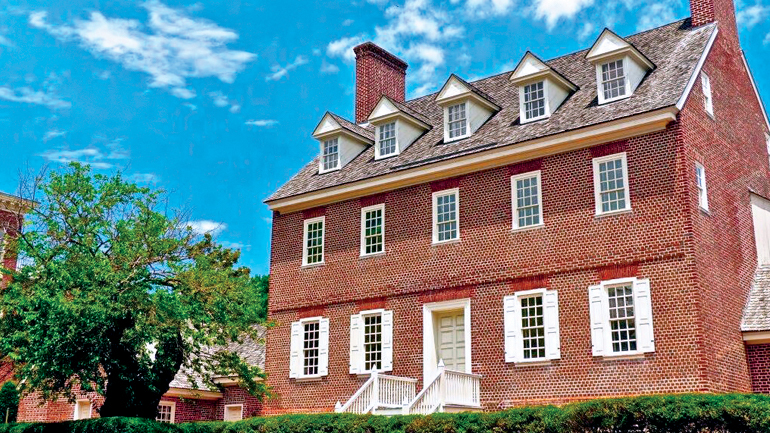 In 1784, he and George Washington were lauded in Annapolis with a series of dinners, speeches, and celebrations. His final visit occurred in 1824 as part of his Farewell Tour—his entrance was marked by 24 cannon shots, the hoisting of the U.S. flag over the elegant state house, and 30 young girls dressed in white carrying welcome banners. 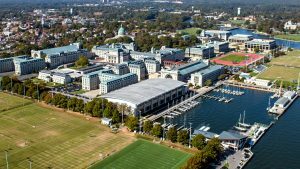 Trace his journey through charming streets, historic sites, and the United States Naval Academy, where the country’s first sailor and Lafayette’s friend, John Paul Jones, rests in eternity. A large-scale painting of George Washington flanked by the Marquis de Lafayette and Col. Tench Tilghman, a Marylander who served as Washington’s military secretary, hangs in the Senate Committee Room of the Maryland State House. The original commission called for a portrait of just Washington, but artist Charles Wilson Peale decided to add the other men to the composition foreground. Peale, who took three years to finish Washington, Lafayette, and Tilghman at Yorktown, initially based the Marquis’ likeness on a painting he had done of him in 1780. But the Marquis serendipitously visited Peale’s Philadelphia studio in September 1784 and, perhaps unhappy with his close-up, offered to sit for the artist so he could make some tweaks. Lafayette was feted here on Dec. 20, 1824, with a “rich and elegant” ball at McDowell Hall, attended by “an unusually large number of ladies from various parts of the country,” according to an accounting of the event. Earlier in the day, the Marquis reviewed military exercises on the college green and was called upon to present the Silver Cup to the winning rifle company of a sharpshooting exhibition. The college green is now used for a different competition: croquet. 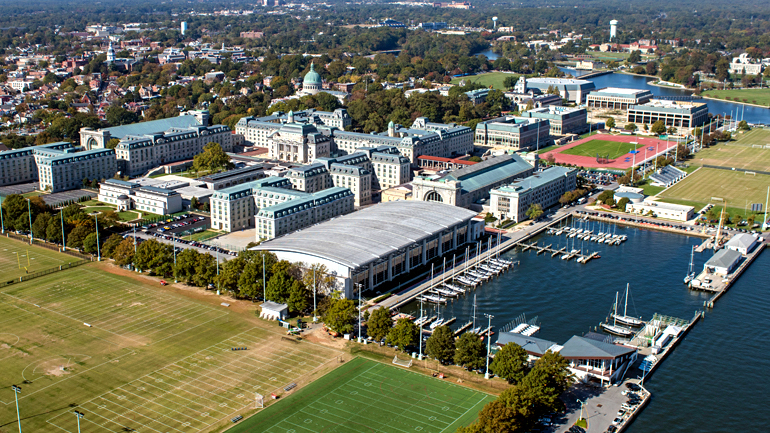 As with many stories, it starts at a bar, where a midshipman was touting the superiority of the Naval Academy to a bunch of blokes from St. John’s. “We could beat you at any sport you care to name,” he boasted. 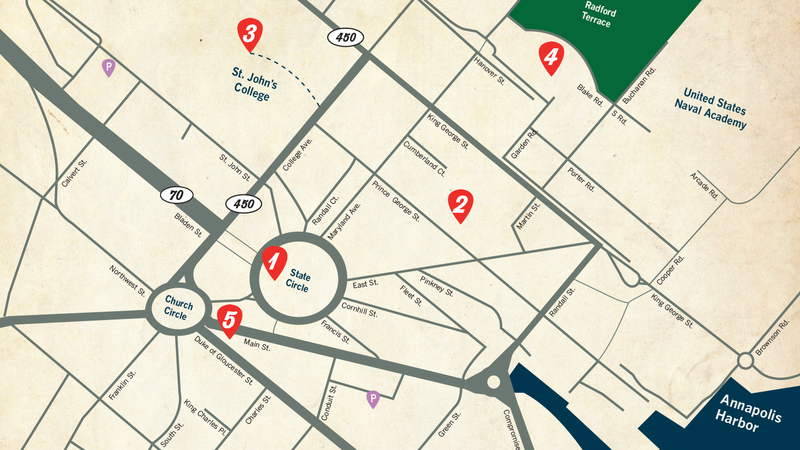 “How about croquet?” countered the St. John’s gent. Thus was born the Annapolis Cup. 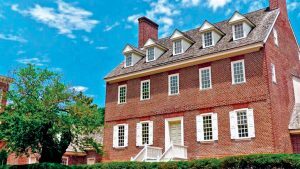 “It became a huge garden party, and St. John’s usually wins,” says Glenn Campbell, senior historian at the Historic Annapolis Foundation. 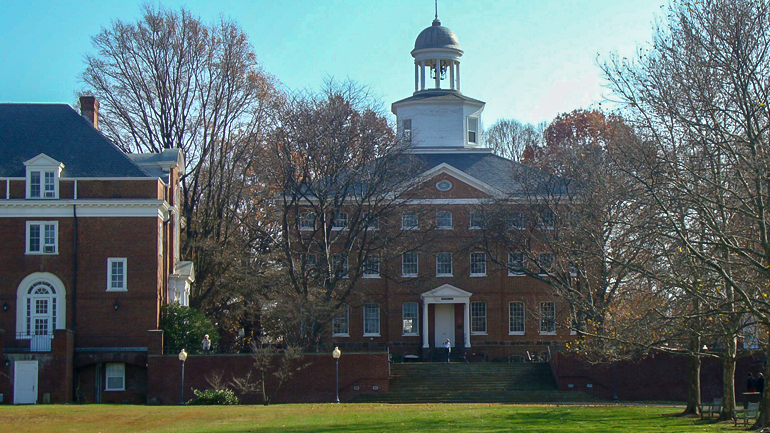 When Lafayette returned in 1824, he was greeted at the academy with a military salute. 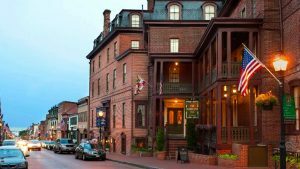 Then called King of France Tavern, the Maryland Inn opened in 1784 and served as a popular lodging place for statesmen, governors, and colonial and revolutionary war personas during the 18th and 19th centuries. Lafayette never slept at the tavern, but the man who oversaw all arrangements for the ball in his honor at St. John’s worked there. Legend has it that a secret tunnel ran from the tavern’s wine cellar to the state house, an escape route for heads of state. 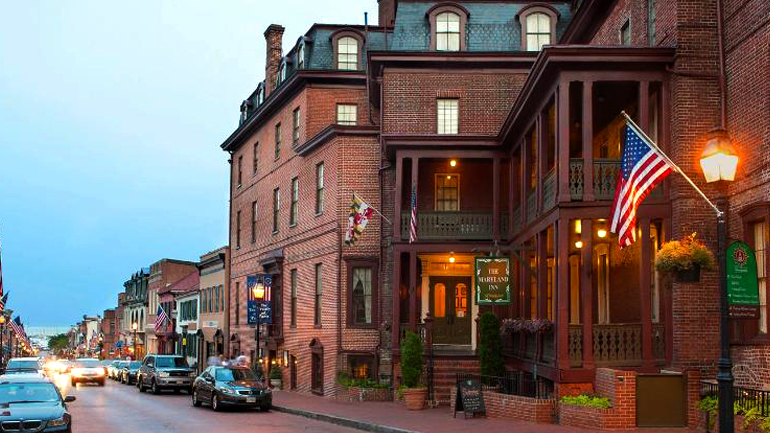 Today the tavern is a 44-room boutique hotel with a seafood restaurant and cozy pub.